Cozy up and unwind on the ultra comfortable Adley Teak Club Chair. 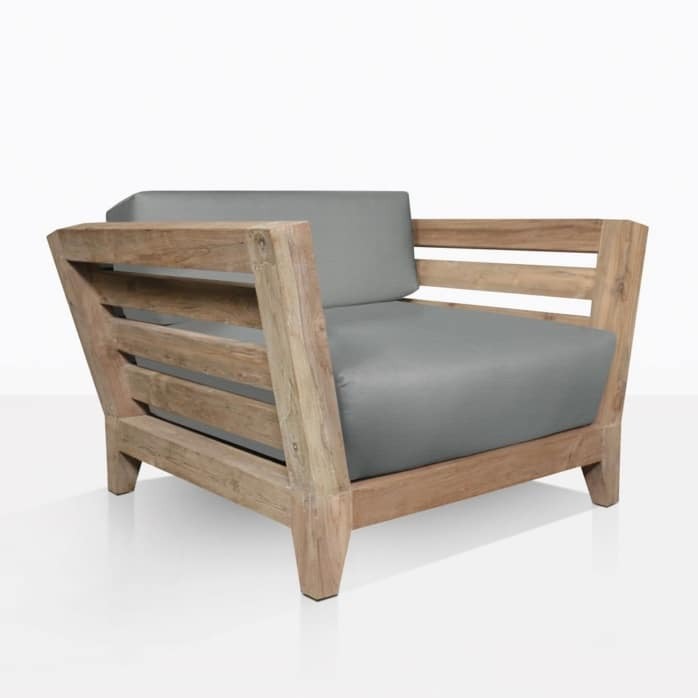 Made with reclaimed teak which gives the chair character and a coastal aesthetic. The teak is thick and strong and gives the piece a nice solid weight. Be inspired to create the outdoor space of your dreams. Pair with the Adley Reclaimed Teak Sofa for a truly transcendent space. The luxurious outdoor cushions are included as shown! Call us today to order your Adley Reclaimed Teak Club Chair!